Isole Filippine - ZATTA, A. Size : 15.9 x 12.0 inches. / 40.5 x 30.5 cm. Description :Important large map of the Philippines by Zatta published in his "Atlante Novissimo". Very detailed with even tiny islands shown and named. Decorative title cartouche in attractive full coloring. 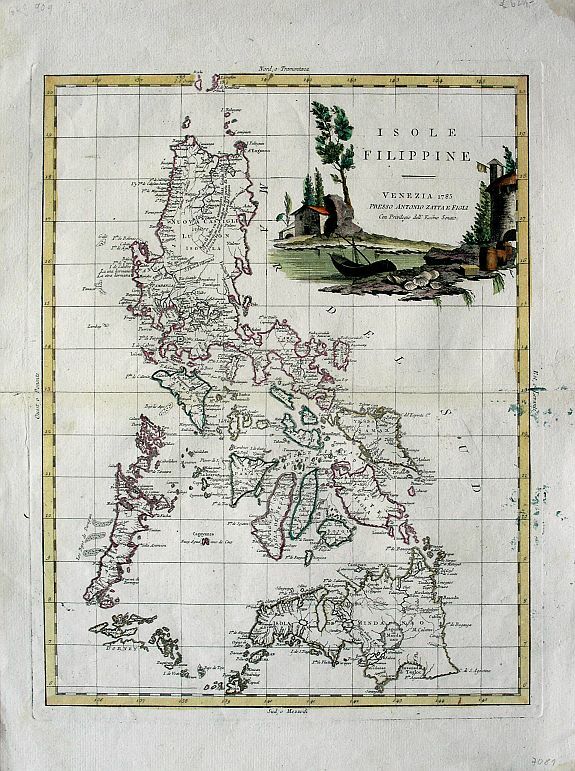 Good example of this sought-after collectors map of the Philippines. Condition : Very good clear impression on quality hand-laid paper with large watermark. With light surface grime and color stains to right side. A few small brown spots. Margins with a short wormhole.